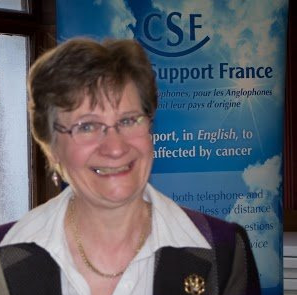 CSF was set up in Poitou Charente in 2002 by our founder, Linda Shepherd, who, following her own experience with cancer, realised the need for emotional and practical support for English speakers in France touched by cancer. She was supported by Professeur Daban, at that time head of the radiotherapy department at CHU Poitiers. A network of similar non-profit local Associations has since been established in many areas of France and in 2010 CSF (National) was created to support the local Associations. The National association is governed by a Bureau and Council comprising a representative from each affiliated association. This ensures that every local association is fully involved in CSF.